Nod32 antivirus is one of the most efficient and popular antiviruses that you can find today in the market. One of the most common problems that we have with our computers are the worms. 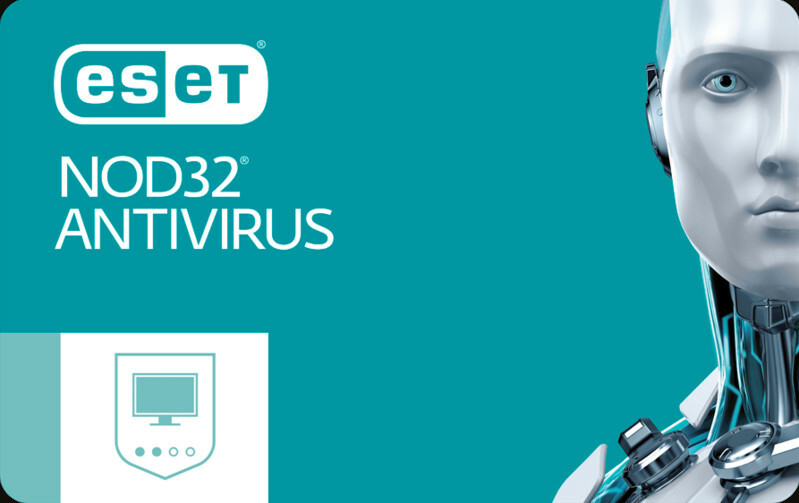 This new version of the antiviruses of Nod 32 (64bits) is the first one that offers you all the protection that you need for them and it is completely specialized in finishing with the worms and the problems caused by them in your computer. 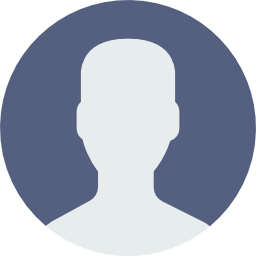 It highlights because of its speed, its high rate of viruses detection and to consume minimum resources. Adware: non desired advertising that have some programs. Spyware: it keeps you safe of the spy programs that want to stole your data. 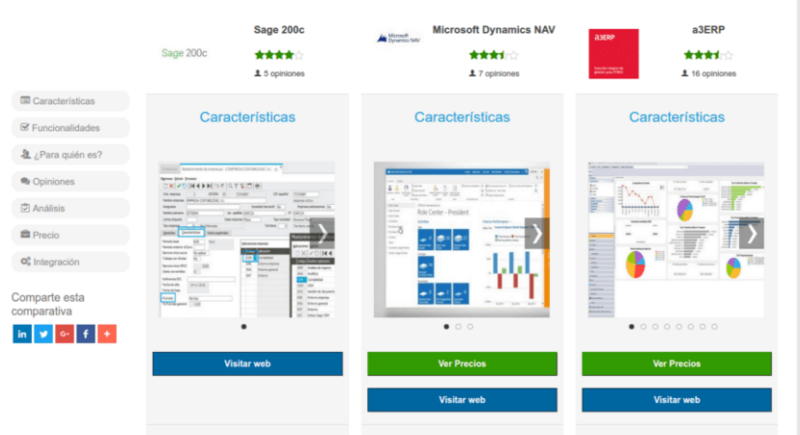 Riskware: it ends with the dangerous programs. Several kind of threats: it does not let that they have the information in an illegal way (phishing) and it avoids frauds online. Nod32 antivirus (64 bits) has several modes to offer you the best protection. On one side, the IMON module protects you when you are surfing the net and it analyzes all the incoming traffic. On the other sides, the EMON module offers a high grade of protection for the mailing in MS Exchange and Microsoft Outlook, acting like a complementary filter. Finally, the DMON module offers an extra protection for the documents in Microsoft Office and any other file that you download from the Internet Explorer. 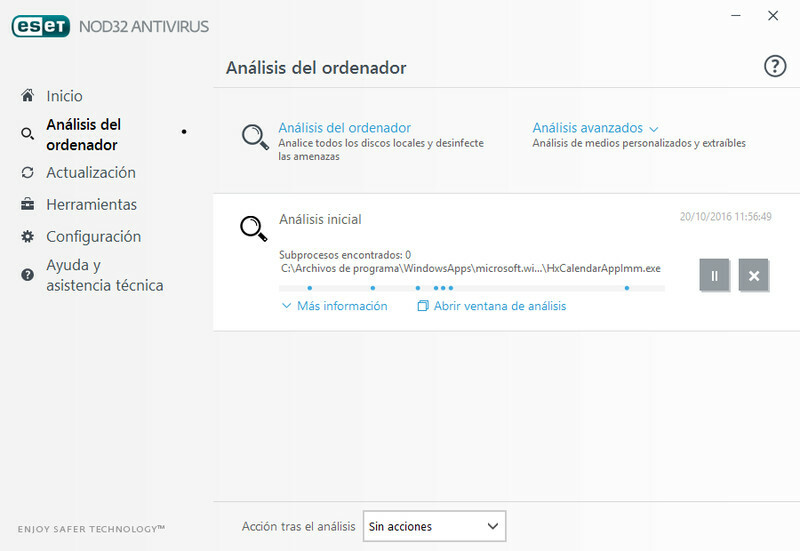 There is also another central module, Control Center, that configures all the several sub-programs and it helps you to manage and configure your antivirus. Thanks to its clear and ordered interface, you will be able to know everything of what is going on in your computer and customize the settings. Download Nod32 antivirus (64bits) and feel more than secure! Some time ago I downloaded a test and the truth worked very well, but unfortunately the hard drive of my computer was ruined. I recommend it because it is effective and easy to use. 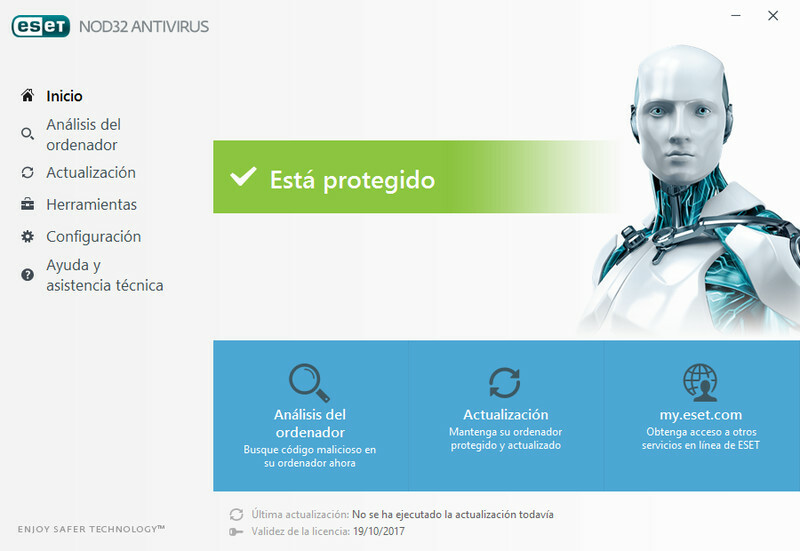 It is a good protection program unfortunately I have been a little short of money to buy it, I have many years of using this antivirus. It works perfect and I have it installed for some time. The worst: Nothing at the moment, thanks for listening. - Version for processors of 64 BITS. - You cannot update it.